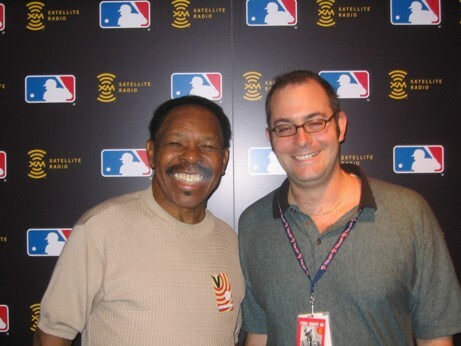 7/24 – 8/7/09 – Lloyd Price: The Matt The Cat Interview! 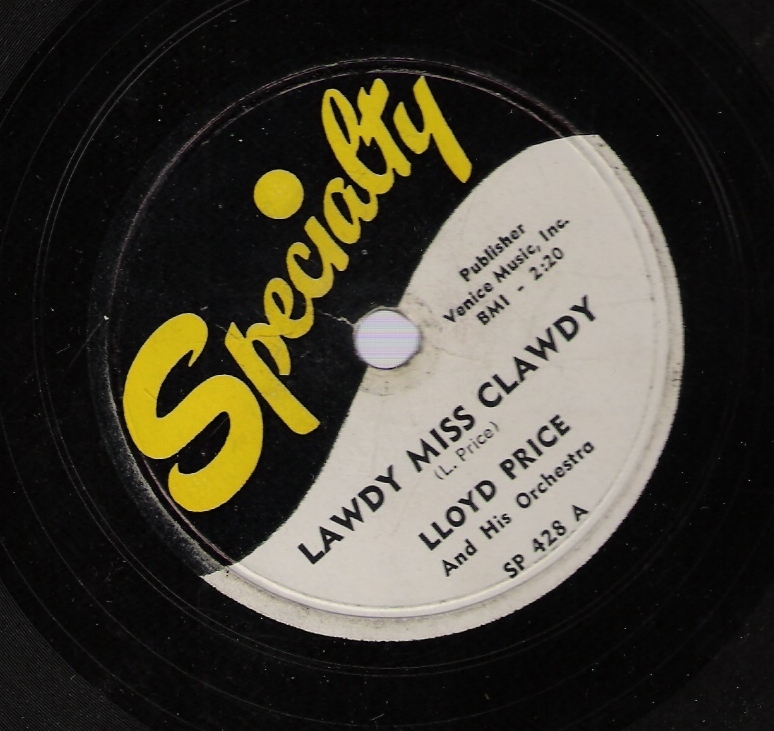 In his new book, Lloyd Price makes a convincing claim to be “The TRUE King Of The ’50s”.Â After all, he was the cat who helped integrate the races when both black and white kids were dancing to and buying his 1952 smash, “Lawdy Miss Clawdy”.Â He was the first teenager to sell over a million copies of a record.Â He was barely in his 20s when he started his own record label.Â He was one of the first artists to get a lucrative deal from a record label and he dominated the pop and R&B charts at the end of the decade with “Stagger Lee”, “Personality” and “I’m Gonna Get Married”.Â And now for the first time, Lloyd Price tells his OWN story in his OWN words to me, Matt The Cat. This is the uncut, unadulterated, unabridged Lloyd Price interview, complete with his insight, his stories and his music.Â Lloyd talks about his entire career, from helping to invent rock n’ roll with “Lawdy Miss Clawdy” to staging one of the biggest sporting events in history with “The Rumble In The Jungle”.Â It’s all here for you to enjoy. Which One Do You DIG The MOST? - "Lawdy Miss Clawdy"
Click above to learn more about Lloyd Price & his new book. The Friday Night Cat Fight honors the summertime tradition of letter writing.Â Yes, before email, paging, texting and tweets, the only way to tell someone the feelings deep in your heart was to hand write them a letter.Â Even today, there is no more genuine way to communicate than letter writing. This week’s crop of themed tunes focuses on the joys and heartbreaks around the receiving and sending of letters.Â Ruth Brown, Little Willie John, Buddy Holly and many more are featured on this week’s show. Plus, vote for your favorite version of “Write Me A Letter”.Â The songs are different and so are the “feels” of each recording. So here’s hoping that the mailman brings you no more blues. Which One Do You DIG The MOST? - "Write Me A Letter"
The Friday Night Cat Fight features its FIRST EVER profile of an artist and I can’t think of someone more deserving of this inaugural honor than the much under-appreciated MARVIN PHILLIPS. He began his career with Richard Lewis & The Barons.Â He then sang for a time in Big Jay McNeely’s vocal group, Three Dots And A Dash before hooking up with friend Jesse Belvin as Jesse & Marvin.Â They were the first successful vocal duo in rhythm & blues and their #2 R&B hit, “Dream Girl” remains a classic.Â This program features Marvin Phillips’ time with Marvin & Johnny as well as his work as a solo artist. This show is for anyone who enjoyed my old “Harlem” show on XM Satellite Radio.Â I am very proud to shine a light on the very underrated talents of Marvin Phillips. I hope you enjoy this labor of love and will vote for your favorite version of “Cherry Pie” below. Which One Do You DIG The MOST? 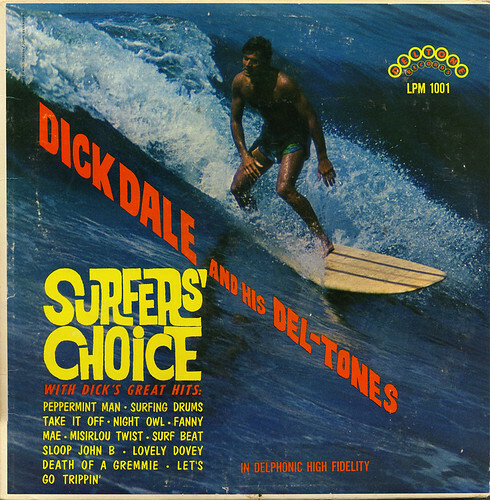 - "Cherry Pie"
“Surf’s Up” as I present the 2nd part to my 2 part series on SURF MUSIC.Â This is one you’ve been waiting for; an entire show on SURF INSTRUMENTALS.Â This show features some off-the-wall choices as well as the usual suspects. Below, there is a list of 9 surf instrumentals.Â Choose and VOTE for your favorite surf instrumental of all-time.Â If your favorite isn’t on the list, please choose “OTHER” and list your favorite in the “comments” section on this page. Enjoy these boss, bitchin’ tunes! What Is The Greatest SURF INSTRUMENTAL Record Of ALL-TIME?